It's mid-July, and we have yet to see a named storm form in the Atlantic this month. The computer models are not predicting any development through at least July 20, and if we make it all the way to the end of the month without a named storm forming, it will be the first July since 2009 without a named storm. Since the current active hurricane period began in 1995, 13 of 17 years (76%) have had a named storm form during July. The busiest July occurred in 2005, when five named storms and two major hurricanes formed. These included Hurricane Dennis and Hurricane Emily--the strongest hurricanes ever observed so early in the season. Only eight major hurricanes have formed in July since record keeping began in 1851. As seen in Figure 1, most of the last half of July activity occurs in the Gulf of Mexico and waters off the Southeast U.S. coast. These type of storms form when a cold front moves off the U.S. coast and stalls out, with the old frontal boundary serving as a focal point for development of a tropical disturbance (as happened for Alberto, Beryl, Chris, and Debby in 2012.) There will be at least two cold fronts moving off the U.S. Mid-Atlantic coast over the next two weeks. The first of these fronts will push offshore around July 20, and we will need to watch the waters offshore of North Carolina for development then. Formation potential will be aided by ocean temperatures that are about 0.7°C (1°F) above average along the U.S. East Coast. Figure 1. 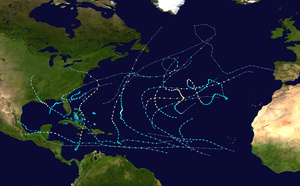 Tracks of all tropical storms and hurricanes 1851 - 2006 that formed July 16-31. The U.S. coast from North to Texas are the preferred strike locations. 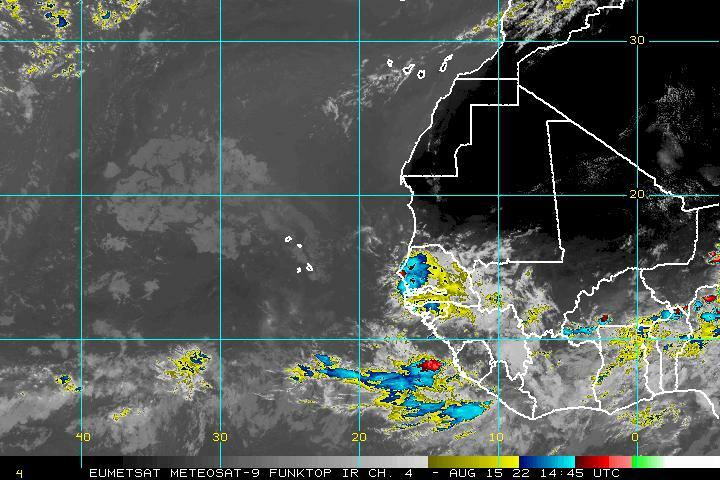 Only a few storms have formed in the tropical Atlantic and Caribbean in July. Wind shear is typically too high and SSTs too cool in July to allow African waves in the Caribbean and tropical Atlantic to develop into tropical storms. However, a few long-track "Cape Verdes" hurricanes have occurred in July, spawned by tropical waves that came off the coast of Africa. 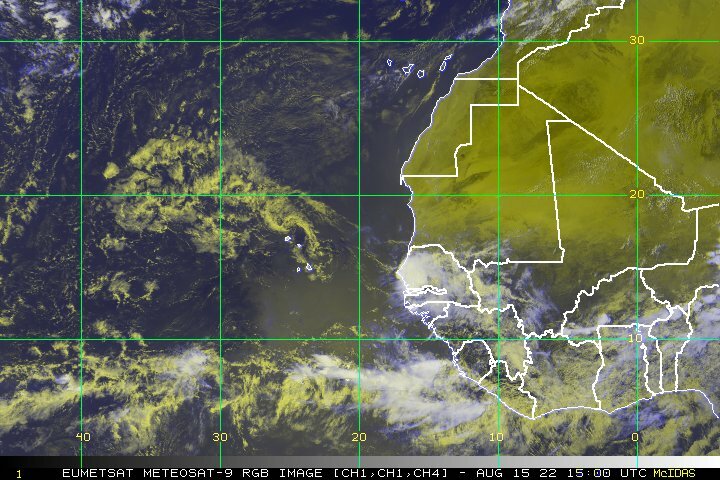 African tropical waves serve as the instigators of about 85% of all major hurricanes. Figure 2. The seasonal distribution of Atlantic hurricane activity shows that July typically has low activity. Image credit: NHC. The departure of Sea Surface Temperatures (SST) from average over the tropical Atlantic between Africa and Central America was about 0.3°C above average during June (Figure 3.) This figure has not changed much over the first two weeks of July. These temperatures are not warm enough to appreciably affect the odds of a July named storm or hurricane. The strength of the Azores-Bermuda high has been near average over the past two weeks, driving near-average trade winds. The latest 2-week run of the GFS model predicts continued average-strength trade winds through late-July, so SSTs should remain about 0.3°C above average during this period, due to average amounts of cold water mixing up from below due to the wind action on the water. El Niño on the way? For two consecutive weeks, ocean temperatures 0.5 - 0.6°C above average have been present in the tropical Eastern Pacific, which is right at the threshold for a weak El Niño episode. NOAA's Climate Prediction Center has issued an El Niño Watch, and gives a 61% chance that El Niño conditions will be present during the August - September - October peak of the Atlantic hurricane season. The likely development of a full-fledged El Niño episode means that Atlantic hurricane activity will probably be suppressed in 2012, due to the strong upper-level winds and high wind shear these events typically bring to the tropical Atlantic. Figure 4. Sea Surface Temperature (SST) departure from average for the the equatorial Eastern Pacific (the area 5°N - 5°S, 120°W - 170°W, also called the "Niña 3.4 region"). El Niño conditions exist when the SST in this region rises 0.5°C above average. As of July 9, 2012, SSTs in the Niño 3.4 region had risen to 0.5°C above average. To be considered an "El Niño episode", El Niño conditions must occur for five consecutive months, using 3-month averages. Image credit: NOAA Climate Prediction Center. Wind shear is usually defined as the difference in wind between 200 mb (roughly 40,000 foot altitude) and 850 mb (roughly 5,000 foot altitude). 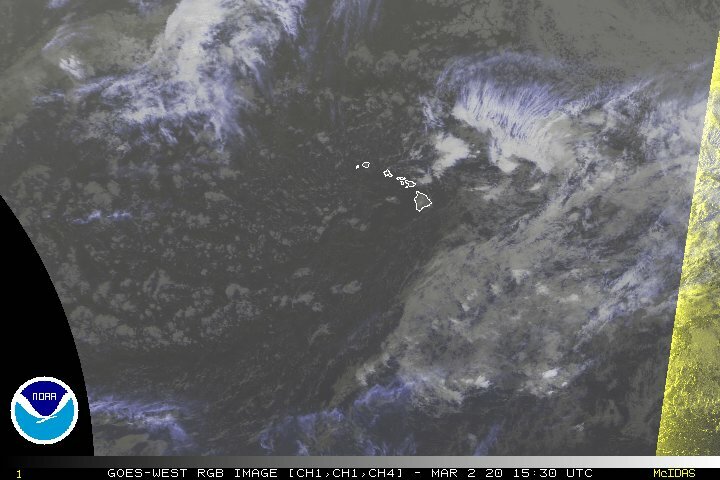 In most circumstances, wind shear above 20 knots will act to inhibit tropical storm formation. Wind shear below 12 knots is very conducive for tropical storm formation. High wind shear acts to tear a storm apart. The jet stream has two bands of strong high-altitude winds that are currently bringing high wind shear to the Atlantic. The southern branch (subtropical jet stream) is bringing high wind shear to the Caribbean, and the northern branch (polar jet stream) is bringing high wind shear to the waters offshore of New England. This configuration often leaves a "hole" of low shear between the two branches, off the Southeast U.S. coast and over the Gulf of Mexico. The jet stream is forecast to maintain this two-branch pattern over the coming two weeks. Wind shear has been about 10 - 20% higher than average over the first two weeks of July, and is predicted to be mostly above average for the coming two weeks. This will cut down on the odds of a July storm. Figure 5. Vertical instability over the Caribbean Sea in 2012 (blue line) compared to average (black line.) The instability is plotted in °C, as a difference in temperature from near the surface to the upper atmosphere. Thunderstorms grow much more readily when vertical instability is high. 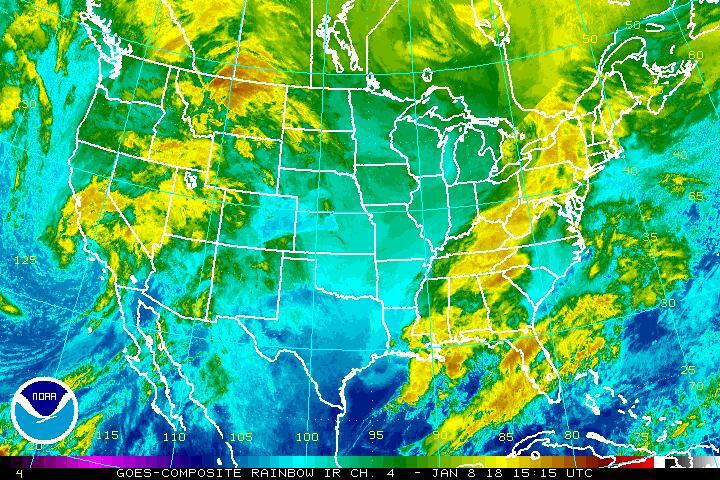 Instability has been lower than average, due to an unusual amount of dry air in the atmosphere, reducing the potential for tropical storm formation. Image credit: NOAA/NESDIS/CIRA. As seen in Figure 5, there has been an unusual amount of dry, stable air in the Caribbean this year creating low levels of vertical instability. This has occurred due to a combination of dry air from Africa, and upper-atmosphere dynamics creating large areas of sinking air that dry as they warm and approach the surface. 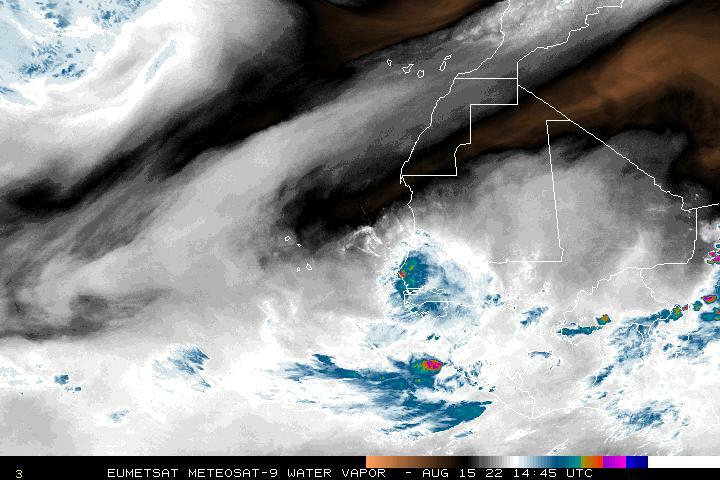 The Gulf of Mexico and tropical Atlantic between the coast of Africa and the Lesser Antilles have also seen low vertical instability this summer. 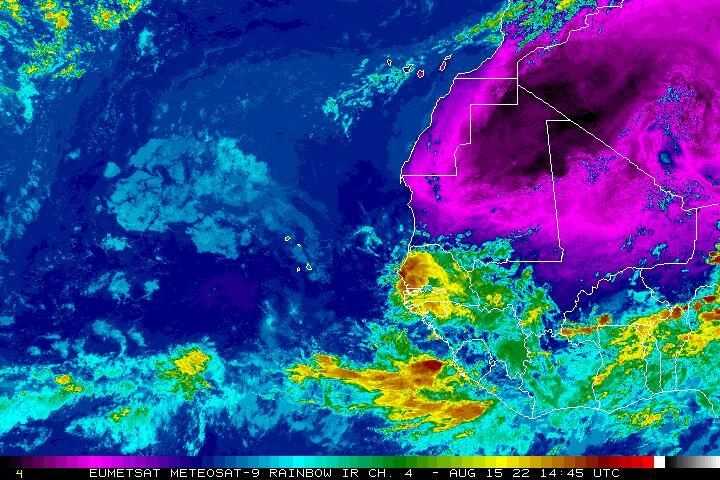 June and July are the peak months for dry air and dust coming off the coast of Africa, and the Saharan dust storms have been quite active over the past two weeks. Expect dry air to be a major deterrent to any storms that try to form in the tropical Atlantic during July. The predicted steering current pattern for the next two weeks is a typical one for July. We have an active jet stream bringing many troughs of low pressure off the East Coast of the U.S. These troughs are frequent enough and strong enough to recurve any tropical storms or hurricanes that might penetrate north of the Caribbean Sea. Steering current patterns are predictable only about 3 - 5 days in the future, although we can make very general forecasts about the pattern as much as two weeks in advance. There is no telling what might happen during the peak months of August, September, and October--we might be in for a repeat of the favorable 2010 and 2011 steering current pattern, which recurved most storms out to sea--or the unfavorable 2008 pattern, which steered Ike and Gustav into the Gulf of Mexico. Given that none of the computer models are forecasting tropical storm formation in the coming seven days, SSTs are only slightly above average, and wind shear and vertical stability are above average, I'll go with a 30% chance of a named storm forming in the Atlantic during the remainder of July. Figure 6. Hurricane Emilia over the Eastern Pacific at 20:35 UTC July 10, 2012. At the time, Emilia was a Category 3 hurricane with 125 mph winds. Emilia peaked earlier in the day as a Category 4 storm with 140 mph winds--the strongest hurricane in the East Pacific so far in 2012. Image credit: NASA. 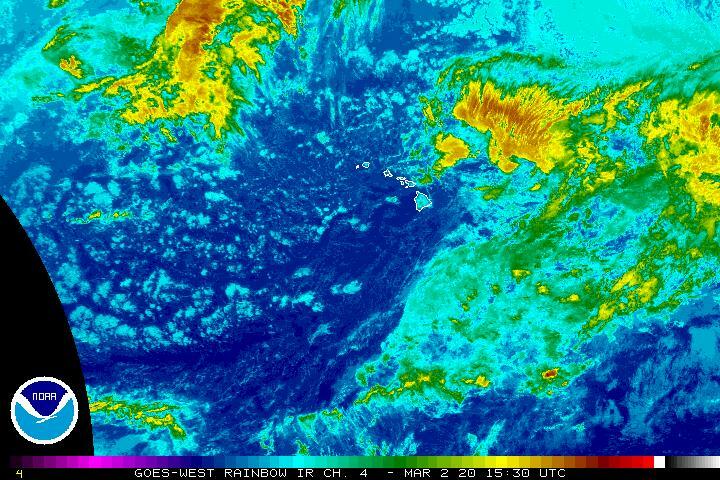 It's been a very active start to the Eastern Pacific hurricane season, where we've already had six named storms, four hurricanes, and three intense hurricanes. A typical season has 4 named storms, 2 hurricanes, and 0 intense hurricanes by July 14. The formation of Tropical Storm Fabio on July 12 marks the 4th earliest formation of the Eastern Pacific's season's sixth storm. The record is held by the year 1985, when the season's sixth storm formed on July 2. Record keeping began in 1949. Have a great weekend, everyone, and I'll be back Monday with a new post. Exactly as I predicted in my blog 5 days ago. How do I know these things?? The GFS has been showing this similar scenario for a few runs now. I think we could see atleast one storm come from the trough sopilt. Fabio down to 100 mph. Up-close view of the Poland tornado. The worst storms during the next few days should shift to interior then drift towards W Coast of FL as seabreeze front collaspes w/o dinurnal support. Fabio is beginning to weaken. Yeah it looks like we are probably going to get slammed by strong to severe thunderstorms here in the Tampa Bay area later today. Atmospheric moisture is very high once again as usual and much more instability is moving into place. I got 7 inches of rain during this last week, I wouldn't be surprised to see that total go up a lot more today. I don't like it when the blopg is dead, I can't think of anything to talk about. Maybe we will get a storm from the trough split later in the week. The Slender game scared the crap out of me. I'm going to have nightmares from here on out lol. Waves in the east Atlantic are emerging progressively stronger. It won't be long until we get our first Cape Verde storm of the season. this rain made me cook a shrimp, crawfish, oyster,tasso and okra stew for this eve...fresh tomato and cucumbers on the side with potato salad...the smell is killing me..
and you live where ? That area east of Bermuda looks interesting. I was noticing that also. It has weak 850 vort and low shear..
Come on, that pics really in Italy... Isn't that leaning tower on the right? LOl. "Summertime and the living's easy"
This Afternoon A chance of showers and thunderstorms. Partly sunny, with a high near 92. Calm wind. Chance of precipitation is 50%. Tonight A chance of showers and thunderstorms before 8pm. Partly cloudy, with a low around 69. East southeast wind 5 to 7 mph becoming calm in the evening. Chance of precipitation is 30%. Monday Sunny and hot, with a high near 94. Light and variable wind. Monday Night Partly cloudy, with a low around 75. South wind 5 to 9 mph becoming light southwest. Tuesday Mostly sunny and hot, with a high near 98. West wind 11 to 16 mph. Tuesday Night A chance of showers and thunderstorms. Mostly cloudy, with a low around 74. Chance of precipitation is 40%. Wednesday A chance of showers and thunderstorms. Partly sunny, with a high near 82. Chance of precipitation is 40%. Wednesday Night Partly cloudy, with a low around 64. Thursday Sunny, with a high near 82. Thursday Night Mostly clear, with a low around 62. Friday Sunny, with a high near 83. Friday Night Partly cloudy, with a low around 67. Saturday Mostly sunny, with a high near 87. Above normal temops for everyone but the opacific coast and Alaska. I see something in the BOC. Yeah I was looking at that two.Convection has been consistent. Thanks for the input on the graphic everyone. Sorry to invade the blog with that lol. I just needed some new pairs of eyes: been staring at the code for this for days now. It's a work in progress, but will be going live pretty soon. What I'd really like to see is the dropsondes from the high-altitude flights plotted for all the standard levels. Can you get right on that? You know, I used to stare at Goats too. I suppose there are some around trained in paranormal warfare. Never read the non-fiction book it was based on but the film version of The Men Who Stare at Goats is great. Funny, yet not so funny. The west coast seabreeze pushed a little inland today and is now colliding with the stronger east coast seabreeze. Looks like more rain along the way for the coastline in a few hours. Northern Lights in Duluth, Minnesota this morning taken by Chief Meteorologist Mark Tarello at KEYC News 12. The eye has become cloud-filled. Closeup view of West African waves. I've made a new entry on Fabio. I even include other possible tropical cyclone development. Check it out. ECMWF hinting at trough split mischief off the US East Coast at 192 hours, same as the GFS. This morning's GGEM also showed trough split development by 192 hours. Is that a tropical storm that is already out in the atlantic on on tropical?. That particular system is extra-tropical. I have been having issues getting to the blog, I get an error message and have to refresh t get it to work. 1924 2 SW BRETON BAY ST. MARYS MD 3822 7675 WATERSPOUT REPORTED TO HAVE MOVED ONSHORE ALONG WINDY LN NEAR COLTONS POINT. FALLEN TREES DAMAGED HOMES AND CARS. WATERSPOUT WAS NOTED BY SEVERAL OBSERVERS. I'm not entirely sure that's a TD. I just returned from a stay in Crystal Beach - A small coastal town Parallel to Galveston. I'll post pictures of my stay in one comment here, and on my blog as well. You know what the GFS is showing next week isn't to hard to accomplish..all depends on the shear.I remember how Bret and Cindy formed from the same frontal system. Not liking that TCHP in the N.W caribbean at all.Tropical system gets in there with favorable conditions and it's game over for somebody. Huge rains just starting now/incoming over Lake Travis. So Thankful. Good... And you guys need it bad. How is the aquifer? Area where Bermuda is is impressive looking. Yeah it's impressive but it'll likely die off. We need 20" of rain - at once, with no evap - to reload our Edwards Aquifer and Highland Lakes. We've been getting an inch here, three there, over the last week so cumulatively, which nixed the fire danger. We need a good solid TS --OR-- a thick, sustained plume of moisture from EPAC and some fronts who know what to do with it. Expect less SAL to come off the coast.Thus watch for development in the next week or two. Max forecasted winds are 45mph gusting to 60mph. How the heck is it possible for nearly this entire county to be avoided by thunderstorms on such an active day? And hear I thought we going to slammed in Pinellas like we did earlier this week. I guess the only thing predictable about weather is it's unpredictability. I live in Palm Harbor and getting a really nice storm. N. and S. Korea NEED need the rain. But not potential flooding. will be interesting the predictions of NOAA and CSU in August about the numbers of storms and hurricanes. It should weaken some since the high won't be as strong. Things should get active again with either a trough split storm or a cv storm in a few weeks. SOUTHERN CITRUS COUNTY IN FLORIDA. NORTHERN HERNANDO COUNTY IN FLORIDA. OVER THE ADVISED AREA...LOCALIZED FLOODING IS IMMINENT OR OCCURRING. KEEP CHILDREN FROM BEING SWEPT AWAY IN FLOODED DITCHES AND DRAINS. VEHICLES OFF THE ROAD. TURN AROUND...DONT DROWN. CENTRAL MANATEE COUNTY IN FLORIDA. BROOKSVILLE...LAND O LAKES...AND SAN ANTONIO...UNTIL 530 PM EDT. THIS INCLUDES INTERSTATE 75 BETWEEN EXITS 217 AND 293. GUSTY WINDS 35 TO 45 MPH WILL OCCUR. FREQUENT LIGHTNING IS EXPECTED. WILL CAUSE PONDING OF WATER ON ROADWAYS. I think the east Pac is about to slow down and the CV seas will start up in about a week to 10 days just a gut feeling!! Yes, and the waves are getting stronger but it should take a few weeks to get a system going. I think we'll see a cape verde in about two weeks. PARRISH...AND WIMAUMA...UNTIL 615 PM EDT. THIS INCLUDES INTERSTATE 75 BETWEEN EXITS 229 AND 246. STORMS ARE CAPABLE OF PRODUCING DAMAGING WINDS IN EXCESS OF 60 MPH. 11/15...ROUTE 209...ROUTE 522...STATE ROAD 61...STATE ROAD 309. SHOULD KEEP THE SEABREEZE PINNED NEAR/AT THE COAST. whats going on with the blog?..my posts arent showing up..sorry for the double posts.. I think 2-3 weeks since enviorment issues need to be worked out. A home-born storm is possible later this week. It could/ should be an appitizer to a cv storm and give us something to track in our basin. A steady line of thunderstorms is moving from Polk County into the coastal Bay area along the summer sea breeze Sunday afternoon. The storms will move to the west and sweep over the coastal counties into the Gulf of Mexico. Scattered storms have also popped up away from the line's leading edge. Drier air moved through Saturday, but it shifted west to the Bay area. Moisture has been allowed to move back into the region and it will stick around for the next few days. Most of the storms aren't strong, but are producing heavy rain. They should wind down by Sunday night around 10 p.m., but a scattered storm is possible throughout the night. Monday is expected to be similar to Sunday's conditions, with a 60 percent chance of rain. What is the deal with the area east of Bermuda!! I'm having problems as well. When I refresh or post around half the time I get an error message and have to keep on refreshing until it fixes itself. Also unrelated the blog has been pretty slow again today. Yeah I got error messages as well..
starting to show up on the models..
Also it takes 1-2 minutes instead of a few seconds for my comments to appear. Are you having this issue as well ncstorm? My o and p key problem is due to maple syruop getting between the 2 keys. EXPECTED TO REMAIN BELOW SEVERE LIMITS AND A WW IS NOT ANTICIPATED. RAINFALL WITH RAINFALL RATES IN EXCESS OF 2 INCH/HOUR POSSIBLE. Potential Impacts: Area of impact primarily poleward of 55 degrees Geomagnetic Latitude. Induced Currents - Power grid fluctuations can occur. High-latitude power systems may experience voltage alarms. Spacecraft - Satellite orientation irregularities may occur; increased drag on low Earth-orbit satellites is possible. Radio - HF (high frequency) radio propagation can fade at higher latitudes. Aurora - Aurora may be seen as low as New York to Wisconsin to Washington state. LOL..I thought it was my hotpocket issue (joke on the blog) but yeah, it takes several seconds for it show up..
Do they do anything with the blob near Bermuda?. popsted a comment 1 minute ago, still not there. G2 (Moderate) Geomagnetic Storm activity is now occurring as a result of the ongoing coronal mass ejection effects. No further significant activity has occured, and while Region 1520 has become less of a threat, it still has the potential for further activity. Stay tuned for updates. just got caught in a sudden rain, didnt see the cloud with the rain before it started pouring but it was partly cloudy all around and then it started pouring over me where it was sunny before. is that the 5th one over MS? Are we racing the EPAC or something? VHF Aurora 2 meter (144mhz) and 6 meter (50mhz) is currently full of aurora signals here in Ontario, Canada. If you are high in latitude, time to turn the yagis north. 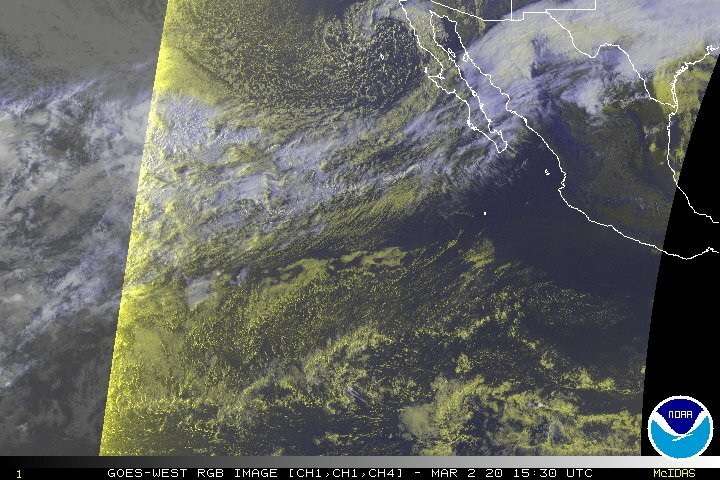 If you're interested, I wrote a new blog on Fabio, 8W, and potential Atlantic development. ......................................GT you ok over there? how long for this one to show up? A. any of those are strong enough to be Ernesto. B. they are (sub)tropical or non tropical. people all over the web are having trouble like we are..this from one site..............................GEOMAGNETIC STORM: A strong geomagnetic storm is in progress as Earth's magnetic field reverberates from a CME strike on July 14th. At first the CME's impact seemed relatively weak, but conditions in the wake of the CME have become stormy. Analysts at the Goddard Space Weather Lab say that satellites in geosynchronous orbit may have been directly exposed to solar wind plasma. Also, Northern Lights have appeared in the United States as far south as California, Utah and Nebraska. Aurora alerts: text, voice. Meanwhile in the southern hemisphere, the aurora australis has been sighted in New Zealand, Australia, and directly above the South Pole itself. 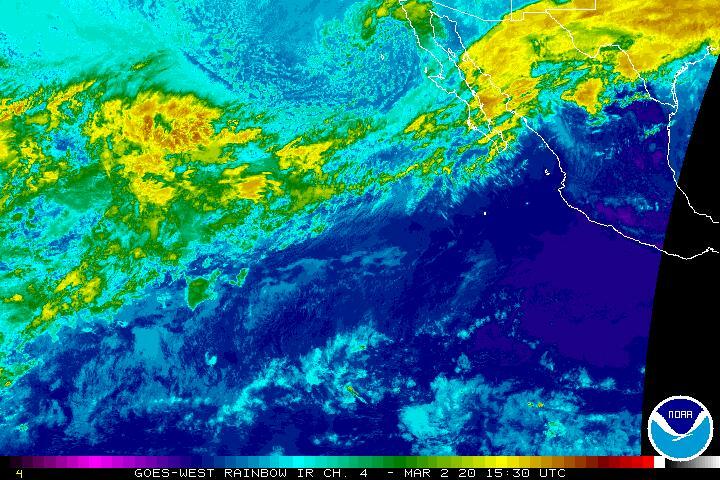 We would certainly catch up to the east pacific in terms of named storms.Lol. I know last year Bret and Cindy formed from the same frontal system. I think you're right... It's very unlikely the solar storm is disrupting WU... Something sure is though, lol... Blog definitely hasn't been working right. The scary part is the GFS showing this run for run for a while now. MAweatherboy1 you brought up good questins there. We don't know until it happens but it would be something if it did. We would all be busy tracking multiple storms at once. Blessed Radio Silence.... so peaceful when I can't see your posts. 0Z GFS showed 2+ named storms, 06Z showed 2+ named storms, 12Z showed 2+ named storms, and the 18Z GFS showed 2+ named storms. 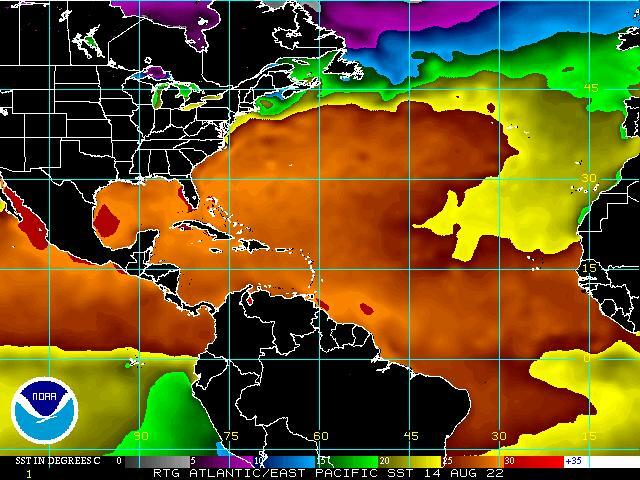 There is a chance we could have both those possibilities..but look at the sst off of the east coast.. I would love it if we saw Ernesto, Florence, Gordon, and Helene off the same front if that is indeed what the GFS is showing. Talk about inflating the season numbers though if that happened. I have been having the same issue combined with an error message. This reminds me of the time the GFS was very consistent with Debby.It just wouldn't give up.And it paid off. What about me, is there a chance I'm apart of this or am I a cv storm(Isaac). For a whole three minutes. It was like a day at the spa. Awww yeah baby :)!! !.Isaac would be a beautiful storm to track. ..........................................this from noaa...i wonder if a geomagnetic storm affects weather at all? If the GFS scenario polayed out then a) there would be cooler ssts and higher rip current threat for awhile, b) lots of storms going over the same area, c) a fun time on the blog. This opotential set up looks like trainning thunderstorms exceopt ver water and the t-storms are TS. "spurious vorticity" in the GFS anyone? SOUTHEASTERN HILLSBOROUGH COUNTY IN FLORIDA. As we all know hurricane Igor was later retired..but it's like nature was purposely holding off on the name till the right(unfortunately for Newfoundland and Bermuda) conditions and steering patterns set up....T.D 2 could have became Bonnie and T.D five could have became Earl..So that means Igor would have been Fiona which was a weak sheared tropical system...Mmm. I don't know about coming down in buckets, it's just steady stratiform rain, I'd rather just have it be sunny, this stuff is boring, I was expecting some big thunderstorms, since we didn't get them I'd rather have sun than overcast with light to moderate rain lol. Action switches to the east coast tomorrow. I'm really not buying that, I would think it will be uniform coverage setup, in other words, equal coverage on both sides. Some U.S. residents may have a rare chance to see the aurora borealis, more commonly known as the northern lights, late tonight and into early Wednesday morning. While the best viewing will be across Canada, including Edmonton and Winnipeg, the lights will be visible in parts of Alaska. The lights will also be visible in Portland, Ontario, Canada, which means they could be seen in upstate New York. AccuWeather.com Expert Senior Meteorologist Paul Walker said it will be cloudy along the St. Lawrence River on New York's northern border, while hit-or-miss showers could occur in southern New England in the early evening. The lights may also be seen as far south as Madison, Wis., and Lansing, Mich. Walker said that this corridor will also be partly cloudy with some hit-or-miss storms. Where do you get that map and opthers like it? Detroit area 7 day forecast from wxyz in Detroit. The "I" storms have been on a roll these past few years.Will Isaac follow that path?. Anything for the Detroit metro area? I just want to say also if bret and Cindy were born of the same front a similar situation can happen and we can have Ernesto and florence out of it. EFFECTIVE THIS SUNDAY AFTERNOON FROM 530 PM UNTIL MIDNIGHT CDT. DAKOTA TO 25 MILES EAST NORTHEAST OF DEVILS LAKE NORTH DAKOTA. Gotta go for a little while. OK, So, what is that at 15N/140W? Chris reached Cane strength..so you never know XD. The blob near Bermuda continues to look better... Maybe a 10% yellow next TWO by the NHC? And Chris was a really pretty category one. I'm tired of seeing this!!!!!!!! I'm surprised they didn't have it mentioned in their discussion. I know.A really beautiful storm he was.Such a delight to track :). Ex-Daniel is looking somewhat alive. Is approaching the dateline which divides the CPAC from WPAC. I brought it up first...Lol. I told ja'll that Daniel is like the Karin of the east pacific. Who am I kidding, I'm just in depression from the lack of a storm. What kind of tropical depression is this? If it reaches the Wpacific at this state it might try to revive over there. That would be an interesting accomplishment. Yeah...I almost want to shed a tear. If GFS is correct could be tracking for named storms at the same time next week. The kind that shouldn't have been initiated on yet. To me it looks good, the long tail/ feeder band is a little weird. Compare the intensity of that convection to Fabio's. Ha! Poor Fabio is hitting the cold. bo-ring...maybe Dr. Masters should go on vacation. really? isn't this their monsoon season? or end of it? Worst drought in a century. Good vorticity off of Florida and I see the blob near Bermuda has some as well. It better go to Korea and not to Japan they had serious flooding there. karin?? ?It better go to Korea and not to Japan they had serious flooding there. Yes the remnants of Karin just wouldn't dissipate.Just like Daniel. Come play in the rain in Austin! Both positive factors for T.C formation.Thank goodness we don't have a disturbance in there. Has anything like the GFS solution happened before? Judging by the shear on this map I made by stitching together the Epac and Wpac CIMSS shear products, the remnants of Daniel don't have a terrible environment in front of them. He's actually in the worst shear he'll be in right now. He may yet have a chance. "One person has been killed and at least 10 others injured during a series of freak tornadoes in northern and western Poland." Ice melting like its in the microwave. Wait with patience as the Atlantic wont be quiet much longer, then you wont be able to get a word in edge ways on here. Oh its only about 105/F here today in southern Spain! We should do a poll on the Olympic this that's going to clog up everything at the end of the month. It could be the wettest Olympics ever! A cat5 headed for the US is what is next and my TV is now getting messed up by something, stupid solar storm. I see the wave off of Africa has some chance on the TCFP. A cat5 headed for the US is what is next and my TV is now getting messed up by something. You might just be right on that one but I'll leave it to the experts on your side of the Atlantic and in Alaska to decide where and when but I would nor rule it out! Take a long look at that high over the mid Atlantic and you cant help noticing that the firing line is the mid Caribbean and into the GOM. Just guessing of course but! Stanger things have happened at sea? RedPlaza I know right.With all these disasters the Atlantic has me worried.Especially the gulf where shear has been low and instability high. Even though there%u2019s been little talk of drought in San Diego in recent months, runoff into the Colorado%u2019s Lake Powell this year is about 46 percent of average %u2014 the third lowest since 1963. Deliveries to cities and farms aren%u2019t immediately threatened because abundant snow two winters ago provided a respite from dry conditions that have dominated the basin since 1999. But on every inhabited continent, clean water is getting harder to find and threats to civilization grow more stark as the global population zooms past 7 billion. The combination is having physical repercussions, such as shrinking seas, dying rivers and sinking land. They are reminders that money and ingenuity can%u2019t defy the laws of nature forever. That aggressive spin right off GA/SC looks like it wants mischief. Holler Gro.Did you see the GFS crazy model run. That wave has good vorticity. Hey Gro, I think it is a ULL and there is one ENE of FL as well. Which nice spin? I see three nice spins in that image. Just as long as they haven't volley'd and thunder'd, you should be OK. I wonder what the other 599 people are seeing. Can anyone see my comment?. Impressive spin on this wave. Dry air and subsidence should keep it from developing. ECMWF keeps the LL vort around for a few days. Logic, of which humanity has seemed to have forgotten points to the fact that if you place a planet in a state of metamorphic transience it will go through a certain amount of radical changes, in order to adapt to a semblance of normality. Being generally insensitive to the goings on of a scattered amount of life forms seething about on its surface it will automatically compensate for any anomalies that should appear. Having said those seemingly pointless words, what we might have to cope with is "planetary reaction," to human inaction's! I dont know, I'm only an engineer who is used to watching things going wrong!Usually we can mend them but this time I'm not too sure! Interesting that we have a mess over the Shael which is massive and its only Mid July. I posted 2 comments a couple minutes ago and yet nothing. "It used to be that our agreements were to share the water," Scott said. "Now we are trying to figure out how we are going to share the shortage." Don't forget the hugely abnormal three-day rainfall in Japan (up to 3.5" per hour) that has led to dozens of deaths and the evacuation of hundreds of thousands of residents. And speaking of the ice melting as though it's in a microwave: this past Wednesday, the recorded temperature at the Summit Camp weather station in Greenland reached 36 degrees. That may not sound like much, but that station sits smack in the middle of Greenland's ice cap at an altitude of 10,500 feet. Just wanted to get an opinion out of you guys first. Would y'all view my daily Graphical Tropical Weather Outlook if I started making one? It would in no way be affiliated with the National Hurricane Center or any other government organization and would highlight my thoughts on a particular disturbance. The high would push it into us. I like it a lot. Go for it. Even though there’s been little talk of drought in San Diego in recent months, runoff into the Colorado’s Lake Powell this year is about 46 percent of average — the third lowest since 1963. Deliveries to cities and farms aren’t immediately threatened because abundant snow two winters ago provided a respite from dry conditions that have dominated the basin since 1999. But on every inhabited continent, clean water is getting harder to find and threats to civilization grow more stark as the global population zooms past 7 billion. The combination is having physical repercussions, such as shrinking seas, dying rivers and sinking land. They are reminders that money and ingenuity can’t defy the laws of nature forever. I apologise for having pulse your statement and hit the minus rather than the plus. I could not agree more with your comment but some areas are suffering extreme rains, northern Europe, Japan, and the area of northern Florida a few weeks ago to mention a few! The general imbalance of traditional climatic conditions will no doubt continue and intensify in the coming years if not reported to the many it will be known by the few. Planetry climatic adjustment will become a reason rather than an excuse for whats going on soon, as more unavoidable evidence emerges. Sorry again for hitting the wrong symbol. If anyone can see this, I have not seen mine or anyone else's comments for the past 10 minutesish. All of them so far today. Wow the blog is all messed up today. I implied all three of them. Just too tired to write, nice spin on all three. The blog has been wacky many times today. Multiple TS popssible at once from one front! Amazing that this kind of information is not "D" Noticed! If they are 4 degrees above freezing in Greenland at 10,500 feet, the end of ice as we know it must be nigh! By the way we have only had about 8 days rain here in the last year! A mere 43/C on the coast today. I don't post much, but I have to tell you about this storm. I live in the Tucson Arizona area, and our annual rainfall rate is around 11 to 12 inches. We just had a storm form over us that dumped 2 inches (cheap Weather Channel rain gauge) in about an hour and change. I have lived here for 18 years, and have never seen it rain like this! It is about time that this monsoon season brought us something. Hopefully Fabio will bring us more. Yes I would, I think it would be great to get a graphical opinion and something that is different from the NHC. That doesn't necessarily mean TS's. A lot of times a string of lows can form above a strong high pressure system. Not unusual this time of year. They don't reflect very low pressures on them. That's a neat idea. I would view it. South Africa~ Rescue workers evacuated more than 2000 people as heavy rains and snow battered southern parts of South Africa over a freezing weekend. The precipitation had cut off all road links between economic hubs Johannesburg and Cape Town, causing a huge traffic backlog, though main highways linking the north and south of the country were reopened Sunday afternoon, said Road Traffic Management Corporation spokesman Ashraf Ismail. Dozens of trucks had been stuck on the routes after heavy snow had closed them down since Saturday. Soon after traffic was opened, around 500 trucks that had been held up in Johannesburg by the closures started the trek toward Cape Town in the south, Mr Ismail said. Over 100 millimetres of rain fell over the area in three days, with more heavy showers predicted through Sunday night. Thousands of people were moved to community centres as floods hit southern city Port Elizabeth, said municipal spokesman Kupido Barron. "We assisted more than 2000 people," he said, with mattresses, soup and blankets given to families housed in community centres. Police were also looking for two people who ignored a ban and rowed across a flooded road in an inflatable rubber boat, local media reported. It is still multiple lows tropical or not. We will have to wait and see if it even opans out. All three five spins are very nice. Especially mine over Centex. But I'm really interested in that one off the GA/SC coast - might it spin up in this 'down' MJO? Went to a B-Day party today. A lot of red balloons. They wanted a 100, but one popped. Since the blog is slow, I wish there was a video I could post to express how I feel. As I learned in Tropical Weather Rehab...One day at a time. Went to a B-Day party today. A lot of red balloons. They wanted a 100, but one popped. Since, the blog is slow, I wish there was a video I could post to express how I feel. Not unless you want to get bannded. pr, I see at least 3 circulations in the loop. Time is drawing closer for us to start watching the MDR area. Yes, it could. Some models have been hinting at that. I just wish you good MOJO. That is one suspicious spin. We are getting a lot of thunder and lightning along the coast right now. It is still a strong forecasted high and not good for us if/when a storm forms. can ya post the radar for ya coast??? Does anyone get an error message when going to NWS Miami? On the bright side, the beach volleyball should be fun. Especially if a cold wind sets in. Hey all, I've started a blog on here. As a lifelong weather and climate enthusiast, I've decided to start a blog which will document the changes in climate over time right here in the Midwest. All are welcome to chime in, regardless of your stance on climate change. I'm not going to use the blog to discuss the policy implications or advocate for or against action on climate change. I don't even care whether or not you believe man is the cause of the observed climate change. Instead, the focus is going to be on documenting the changes in the climate with a particular focus on the Midwestern U.S.
My first blog looks at how temperatures in Detroit and Chicago this year stack up against 1961-1990 normals in those cities, as well as the 1961-1990 normals in St. Louis and Cincinnati/Northern Kentucky. In Detroit, through July 15, the mean has been 52.7F. This is 7.3F above the 1961-1990 normal for the city during the same period, and 2.0F above the 1961-1990 normal in Cincinnati/Northern Kentucky for the same period. In Chicago, through July 15, the mean has been 53.9F. This is 8.1F above the 1961-1990 normal for the city, and 0.3F above the 1961-1990 normal for St. Louis for the same period!